Congratulations to Waverley’s Emily Whitehead who competed at the 2018 World Championships in Doha on Saturday 27th October. Emily finished 48th All Around in her first ever World Championships! 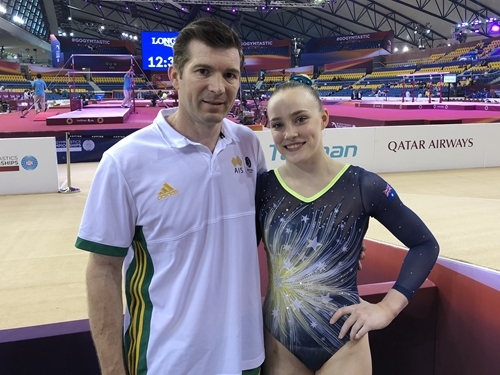 Although it wasn’t the most consistent competition for the Australian team, Emily showed great determination and resilience to compete through illness and finished up having three of her four apparatus scores count towards the team total – awesome effort Em! 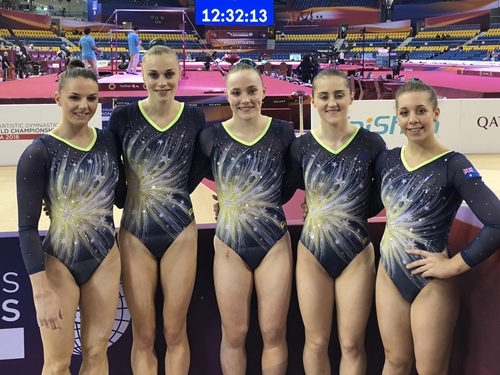 At the conclusion of the team event Australia was the 15th ranked team, which automatically qualifies Australia to compete at the 2019 World Championships, where the top 12 ranked teams will qualify a team to the Tokyo 2020 Olympics! Waverley senior gymnasts Emily Whitehead and Kiara Munteanu both did a sensational job at Australia’s World Championships team selection trial, held at the Australian Institute of Sport in Canberra on Sunday 14th October. Waverley Gymnastics Centre is excited and proud to announce that Emily has been selected on to the team of five to compete at the 2018 World Championships in Doha, commencing on Thursday 25th October! In more good news, Kiara has been selected as the reserve gymnast for the World Championships team, and has also been named on the 2018/19 National Squad! The Women’s team will depart for Doha on Wednesday 17th October. This event will also serve as the first qualifying event for the 2020 Tokyo Olympic Games. Congratulations to Emily and Kiara, and their coaches John Hart and Georgia Bonora, on their wonderful achievements!